We all have scars. Whether it’s a small scar from chicken pox as child, or a brand new surgical scar, scars can be unsightly at times and may cause embarrassment. Not all scars are created equal; a small scar from an accident with a kitchen knife may heal differently than a burn. Some scars will appear smooth and flush with the skin, while others heal raised and thick in appearance. So, what can you do to minimize their appearance? The best way to prevent or minimize a scar from forming is to take proper care of a wound when it first happens. If the cut is larger than half an inch, very deep, will not stop bleeding or has jagged edges, it’s best to see a doctor as soon as possible. If an injury occurs to the face, especially close to the eye, it’s best to seek professional help as well. 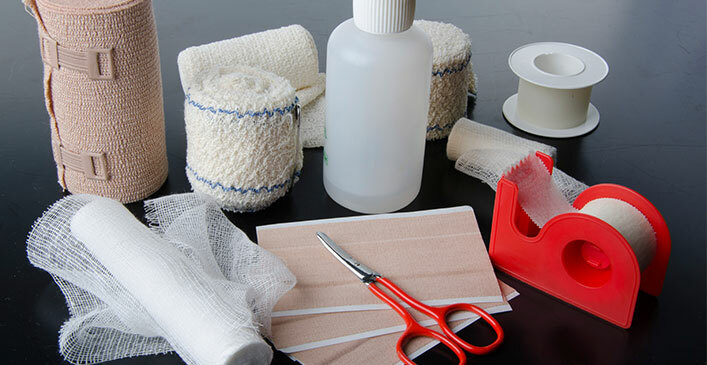 Keeping your wound moist and covered is the best way to help it heal. Using an antiseptic cream and a loose bandage to keep dirt from getting in is the best way to do this. Once a scab forms, resist the urge to itch or pick at it. Not only can it irritate the wound, but it can introduce bacteria and prolong healing. It can also reopen if you get too aggressive and you may have to start the healing process from the beginning.